We are not caterers—we are creators of unique, luxury culinary experiences. Eating at home can be a luxury for those without time or whose kitchen ambition exceeds their know-how. The Austin Artisan is at your service. With fresh, quality, in-season ingredients and ever-changing options, anyone can plate inspired, chef-prepared meals. No shopping, prepping or know-how needed. We set ourselves apart from other meal delivery services by emphasizing the personal in personal chef. With no pre-set menus or predetermined delivery days, each meal plan is individually crafted to accommodate your flavor preferences and nutritional needs, and you decide when and how often we deliver your meals. More than just a chef. Your chef. 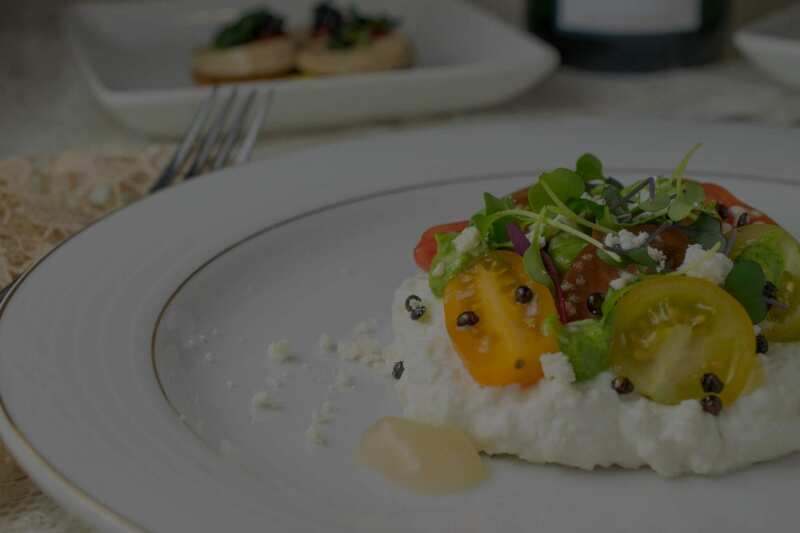 The chefs at The Austin Artisan are creators of unique, intimate gatherings centered around unparalleled fine-dining experiences. An evening spent with us will leave your guests filled with more than delicious food and fine wine, but also with unforgettable moments that they will brag about for years. We take the time to get to know you and your guests, so our interactions can be especially warm—filled with just the right personal touches to make your event uniquely yours. Attention to every indulgent detail ensures the style, service and setting is as beautiful, and memorable as the food and wine. We set more than the table. We set the standard.